When it comes to measuring your new staircase it is important that you get the correct measurements , use this guide to help you understand the measurements we require to calculate your new staircase. We also offer a Stair Measuring Service - Phone 01952 608853 with your details for a costing. For a straight staircase measure your rise measurement first, this is the distance from the finished floor level where the staircase starts to the finished floor level on the upper floor where the staircase is going to. If your floors are slightly out of level the make sure you get your rise from the points where the staircase is going to sit. Once you have your rise you can work out the going distance (Dimension G) for the stairs this is the distance the staircase will project along the floor, look at our rise and go chart to see the correct going to suit your rise height when trying to achieve a 42 degree pitch. The width is also important when it comes to your landing room at the top and the bottom as this needs to be equal or more than the width of the staircase. The width of a standard domestic staircase is 860mm over all the strings, the minimum width we would recommend for a Loft staircase is 600mm over all the strings. If you are measuring a staircase which is to have handrails to one side and it is quite tight to the well hole you need to think about finger room between the handrail and the side of your stairwell the minimum clearance we recommend is 40mm this would mean you need to allow 55mm clearance on you over all string measurement from the finished well size. As with straight stairs start with your rise measurement and use the rise and go chart to work out the number of risers required and the going size your treads need to be to give you a 42 degree pitch, take your going dimension G1 and work out haw many goings will fit and what width you are left with remember the width of a standard domestic staircase is 860mm, you will probable have 2 choices of rise heights to choose from eg :- 12 or 13 risers these will have different going sizes you need to choose the one that suits best, Your next size the G measurment is governed by the number of goings you need and the width of the staircase. 1. Minimum 50mm Going - at the inside edge of your winder treads you must have a minimum going of 50mm, this means on a typical 860mm wide staircase with a standard 90mm newel post in the corner the typical area for a 3 tread winder corner increases by around 30mm so on a 860mm wide stair the typical winder box size is 890 x 890mm. 2. Winder Walk line Going - UK building regulations require the distance in the center of a winder tread to have a going no less than the going on the main part of the staircase, on staircases wider than 800mm Overall strings this is not normally an issue but on narrower staircases it is required to increase the winder box size by more than the 30mm as detailed above for the 50mm goings to achieve a walk line going that meets the requirements. EG - a 600mm wide staircase would need a winder box size of typically 750 x 750mm. For Half Landing staircases and Double winder staircases you will need to check the width of the area you can fit the staircase into and also let us know if there is a restriction as to how far the staircase can come out at the bottom other than the restriction goverened by headroom from the stairwell above. How to get a Quick Quote ? Have a look through the stair layout drawings we have on the websites identify the layout closest to the staircase you require and phone us with the reference, you can also let us know the style and materials you would like the stairs in. Which Stair is for you ? Well it is important to remember when you compare your quotations on staircases its hard to know the quality of staircase you are buying because the quality of staircase between stair manufacturers is very different, we would like you to pay attention to the images you will find across the website showing you how many of our staircases get Pre-assembled in the workshop - this ensures quality, many competitiors claim this is the case but I can asure you this is far from the case. 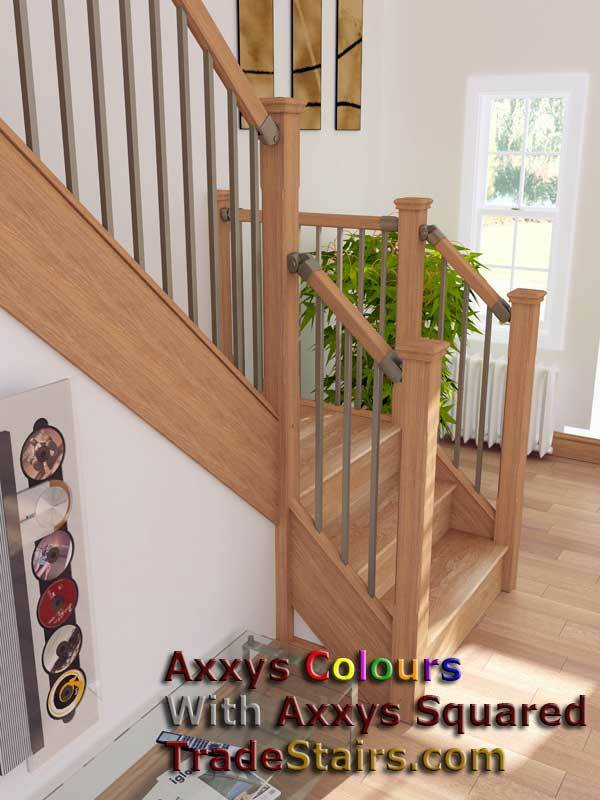 Come and see us - when you are investing in a new staircase it is a very permanent feature its nice to see something before you buy it - whilst we dont have everything on display coming to visit us will give you an idea to the quality of staircases we can offer you and we may have something to inspire you. 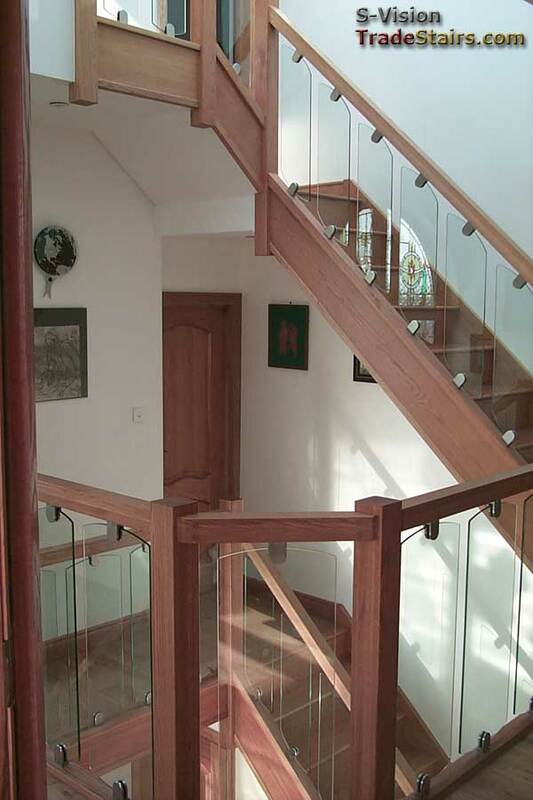 - Made To Measure straight stairs with handrails. Home | Stairs | Stairparts | Terminology | Workshop |Staircase Plans | Jobs at Stairplan in Telford | Stairfix.com |.